DF Pools specializes in swimming pool remodeling all across South Florida. We can transform your swimming pool, and give it a far more modern day look. We’ve been remodeling pools for over 11 years, and take pride in our work. Before we commence a remodeling project, we’ll send a technician out to inspect your pool. We’ll listen to your expectations, and work hard to meet or exceed them. We strive to be the ideal South Florida Pool Remodeling business. Whether you’re looking to add some old world charm to your patio, or contemporary flare to your walkway, DF Pools offers a variety of driveway pavers, including brick pavers, concrete pavers and more. We can help you create an eye-catching walkway or patio. Imagine your home with a beautiful new paver patio, an inviting paver walkway and entryway, a new paver pool deck with garden walls or a more attractive paver driveway. DF Pools handles all aspects of your patio pavers Installation, maintenance and repair, also including Retaining Walls and erosion control. DF Pools specializes in all phases of pool and deck renovations and resurfacing. From simple pool resurfacing and paver decks to complete pool and deck makeovers. There is no far better approach to add a decorative touch to your new or refinished swimming pool than by adding a mosaic. No matter whether you desire dolphins, turtles, fish, or even mermaids, DF Pools Mosaics provides the largest selection of ceramic and glass mosaic pool tiles anyplace! DF Pools sources from a variety of major producers to ensure client satisfaction and that each individual’s projects wants are met. 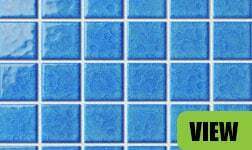 This enables the largest choice of pool tiles selection you can discover anywhere. Backyard kitchens with cooking surfaces, sinks, bars and storage areas are all the rage in the growing outdoor living trend. Concrete countertops are being noticed as the number one material that is both highly functional as well as decorative for taking cooking and entertaining activities outdoors. DF Pools has 11+ years of experience, working in South Florida Pool Remodeling in the tri-county area of Dade, Broward and Palm Beach counties. It does not matter what kind of Pool Remodeling project you need, we can take care of all your needs. Our services include Diamond-Brite, Pool Tile, Pool Coping, Pool Deck Pavers, Pool Deck Travertine, Pool Deck Shelllock Pavers, Pool Waterfalls and much more. Our team of specialists is ready to take care of all your demands, from the free estimate to the full execution of the project, your satisfaction is guaranteed. We stand out from our competitors for our experience, value, and selection of services. Come and try DF Pools, you’ll not regret it!